Today, the profile of a wholesale distributor suffers fundamental change due to the rapid advances in technology and increased connectivity in the global economy. Traditional wholesale distributors are looking for a new ways to add value in order to improve customer retention. In doing so, they are searching for optimum software solutions, customized to their specific business needs, that will help them achieve strategic business goals and keep their profit margins stable. The ERP solution you bought a few years ago may not provide the features and functions or advanced technology you need to stay competitive in today’s fast changing world. ERP has come a long way in the past few years in terms of functionality, largely because of supporting Infrastructure and enabling technology that allows more rapid innovation. 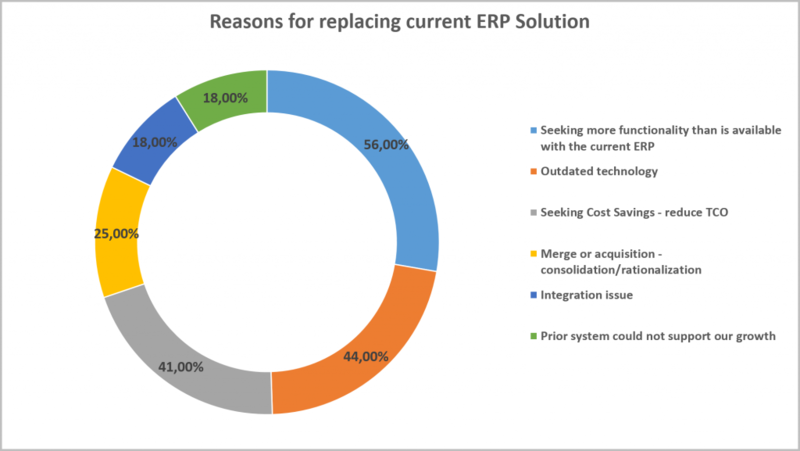 If you think that you can still make it with your current ERP Solution, perhaps the better perspective is to see what that decision is costing your business. 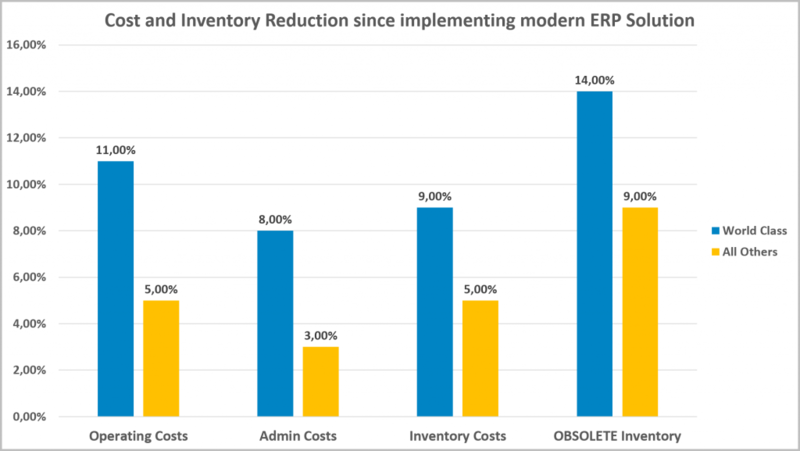 In order to quantify the lost opportunity cost of doing nothing, we are going to look at the cost savings realized by ERP implementation in the wholesale distribution. The next table compares the benefits of a world class distributors versus all others. “World class” refers to those wholesale distributors (top 20%) that have achieve greatest benefits from ERP implementation, where as “all others” refers to the other 80%. Think about your operating, administrative and inventory costs. Than look back to the graph above. These are the average savings realized by wholesale distributors. Those who go on to achieve “World Class” status achieve even more. So the important question now is not whether you need a modern ERP Solution for your Wholesale distribution business, but rather, which one to choose? VIENNA Advantage Retail & Supply Chain Industry Template is developed to satisfy even the most specific need of all Retail, Wholesale, Distribution (Trading) and FMCG companies. Download the full brochure here to learn more about this solution. In order to stay competitive, your business needs to produce results that are more focused on your customers. To measure this type of success Mint Juntas 2014 ERP Solution Study uses variety of metrics shown on the graph below. Although the profitability is extremely important in wholesale distribution, as operating margins are wafer-thin as compared to other industries, it is important to stress that the profitability might be affected by some external factors, such as economic and market conditions. The other metrics depend on one another. Complete and on-time delivery is a critical metric and can impact customer retention. Cycle times can directly impact your ability to deliver, as per customer-demand. One of the symptoms that indicates that you need new and modern ERP Solution is not being able to meet customer demand, even when your inventory levels rise. A modern ERP Solution should not only be able to track the inventory but also to control it. It should also optimize your picking and put away. Moreover if you want to optimize your inventory levels to their lowest levels without impacting customers’ response, the ERP should provide tools for forecasting and demand planning. 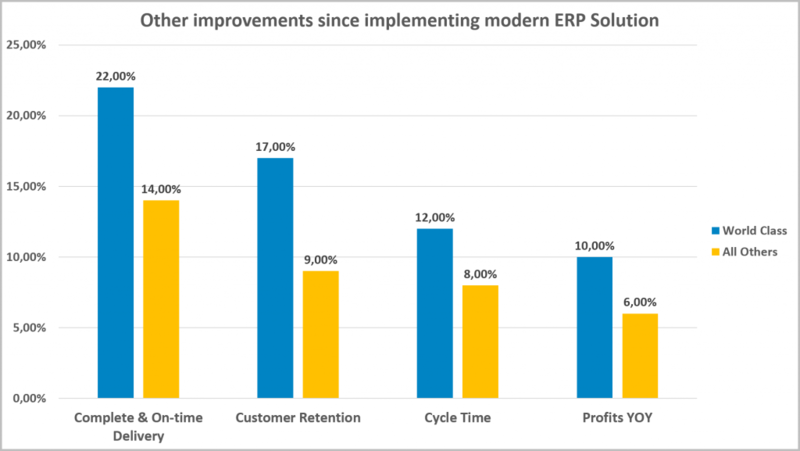 One of the biggest benefits from a modern ERP Solution is the ability to handle change. Newer, modern solutions are more extendable and much of the logic built into business rules, can be changed as required. Vienna Advantage ERP and CRM is extendable without limits! It is scalable and customizable in every way. Modern ERP Solutions are designed for “ordinary” people. They provide intuitive user interfaces and web-access so that the user can access them from any device anywhere. If you are like the most wholesale distributors today, than you are operating on a tight budget. You face increasingly global competition, tighter global trade regulations and unpredictable transportation costs. All this puts pressure on your operating margin. A modern ERP Solution will provide the type of control and visibility to achieve both operational excellence and a competitive edge, while producing cost savings. Choose VIENNA Advantage ERP and CRM Solution to boost performances and grow your business!